Estate car practicality. All-Wheel Drive confidence. Sports Tourer comfort, handling and sheer driving fun. Effortless on the motorway. Exhilarating on a coastal road. Experience Levorg - the driver’s All-Wheel Drive Tourer. Starlink Infotainment - Hitch up a loaded trailer or caravan whenever the need arises with a towing capacity of up to 2000kg. Subaru Rear Vehicle Detection - Negotiate steep, extreme terrain confidently at the push of a button. X-Mode with Hill Descent Control manages the power, braking and AWD systems for the best traction and grip. Permanent Symmetrical All-Wheel Drive (SAWD) delivers power to all four wheels at all times ensuring enhanced control of Levorg on or off-road - even in poor conditions. The entire drive system, from the Boxer engine to the rear differential, is mounted in a straight, symmetrical line, delivering Levorg’s stability and balance. SI-DRIVE (SUBARU Intelligent Drive) lets you select the engine and transmission characteristics according to your driving style, driving expectations and driving situations. Select Intelligent mode for smoother acceleration and more efficient operation, or Sport mode for a more exciting driving experience, with enhanced power and acceleration. 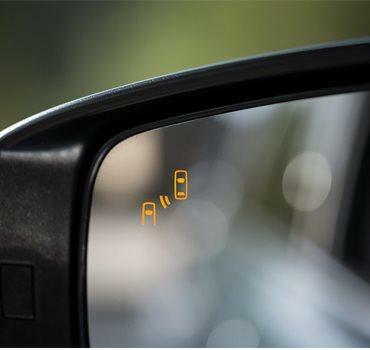 Subaru Rear Vehicle Detection (SRVD) features Blind Spot Monitoring, Lane Change Assist & Rear Cross Traffic Alert. It monitors rear blind spots for danger, makes lane changes safer, and can also warn of the potential for a collision - for instance whilst reversing into a street with passing traffic. 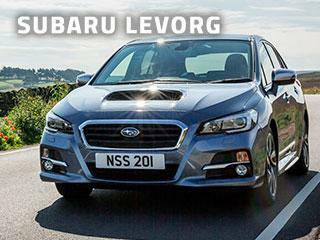 Levorg’s 5* Euro NCAP rating for safety is the testing agency’s highest award. Its combination of passenger protection and accident avoidance technology make it one of the safest sports tourers available. 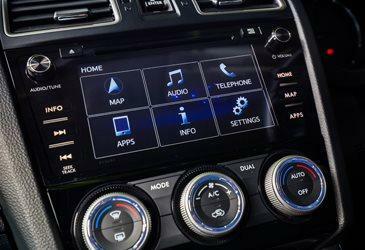 Levorg’s SUBARU infotainment system lets you make phone calls*1. You can control operations via the central multi-function touchscreen, steering wheel controls, or simply use your voice. 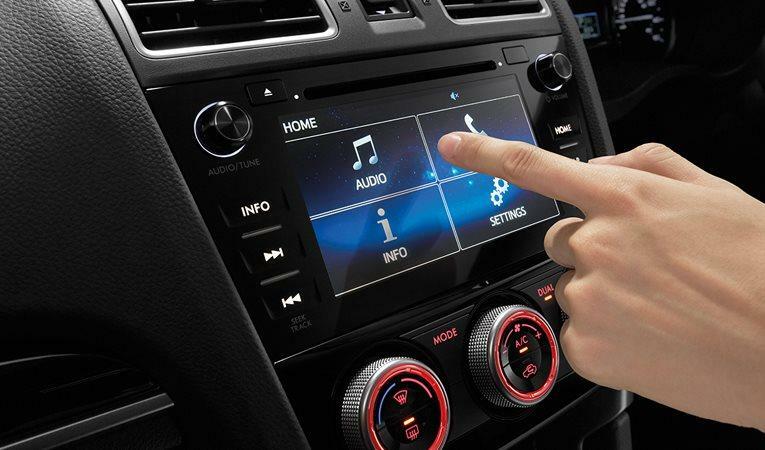 It’s easy to connect your smartphone or other mobile music device via the USB or standard AUX jack. A reversing camera helps you reverse and park easily and safely. 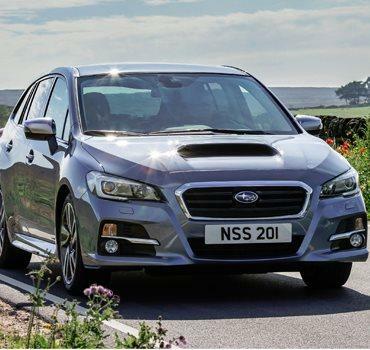 Levorg’s Stop & Start System will automatically stop and restart the engine when the car comes to a standstill to reduce fuel consumption and emissions.